In this section you will find team products like Puzzles, key chains, stickers, decals and other great products of your favorite teams. 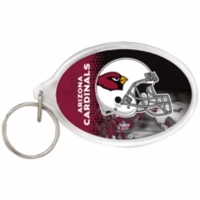 Puzzles, key chains, stickers, decals and other great products of the Arizona Cardinals. Puzzles, key chains, stickers, decals and other great products of the Atlanta Falcons. Puzzles, key chains, stickers, decals and other great products of the Baltimore Ravens. Puzzles, key chains, stickers, decals and other great products of the Buffalo Bills. Puzzles, key chains, stickers, decals and other great products of the Carolina Panthers. Puzzles, key chains, stickers, decals and other great products of the Chicago Bears. Puzzles, key chains, stickers, decals and other great products of the Cincinnati Bengals. Puzzles, key chains, stickers, decals and other great products of the Cleveland Browns. Puzzles, key chains, stickers, decals and other great products of the Dallas Cowboys. Puzzles, key chains, stickers, decals and other great products of the Denver Broncos. Puzzles, key chains, stickers, decals and other great products of the Detroit Lions. Puzzles, key chains, stickers, decals and other great products of the Green Bay Packers. Puzzles, key chains, stickers, decals and other great products of the Houston Texans. Puzzles, key chains, stickers, decals and other great products of the Indianapolis Colts. Puzzles, key chains, stickers, decals and other great products of the Jacksonville Jaguars. Puzzles, key chains, stickers, decals and other great products of the Kansas City Chiefs. Puzzles, key chains, stickers, decals and other great products of the Miami Dolphins. Puzzles, key chains, stickers, decals and other great products of the Minnesota Vikings. 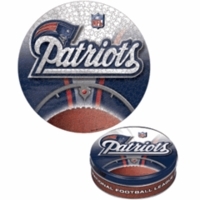 Puzzles, key chains, stickers, decals and other great products of the New England Patriots. Puzzles, key chains, stickers, decals and other great products of the New Orleans Saints. Puzzles, key chains, stickers, decals and other great products of the New York Giants. Puzzles, key chains, stickers, decals and other great products of the New York Jets. Puzzles, key chains, stickers, decals and other great products of the Oakland Raiders. Puzzles, key chains, stickers, decals and other great products of the Philadelphia Eagles. Clocks, Puzzles, key chains, pins, stickers, decals, player items and other great products of the Pittsburgh Steelers. Puzzles, key chains, stickers, decals and other great products of the San Francisco 49ers. Puzzles, key chains, stickers, decals and other great products of the San Diego Chargers. Puzzles, key chains, stickers, decals and other great products of the Seattle Seahawks. Puzzles, key chains, stickers, decals and other great products of the St. Louis Rams. Puzzles, key chains, stickers, decals and other great products of the Tampa Bay Buccaneers. Puzzles, key chains, stickers, decals and other great products of the Tennessee Titans. Puzzles, key chains, stickers, decals and other great products of the Washington Redskins. This section you will find 500-piece Puzzles that come in a beautiful collecter tin and 150-piece puzzles that come in a clamshell package. The 500-Piece puzzles are 20.5 inchs diameter when completed and the 150-piece puzzles are 11 inches by 17 inches when completed.